Big data. Digital loyalty programs. Predictive analytics. Contextualized content. Are you ready? 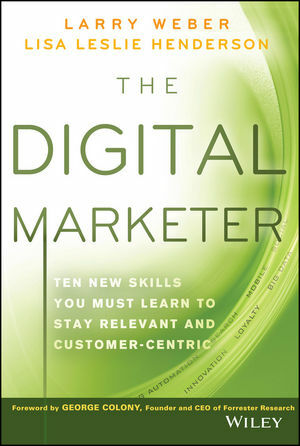 With the authors' decades of combined experience filling its pages, The Digital Marketer gives every marketer the tools they need to reinvent their marketing function and business practices. It helps businesses learn to adapt to a customer-centric era and teaches specific techniques for engaging customers effectively through technology. The book is an essential read for businesses of all sizes wanting to learn how to engage with customers in meaningful, profitable, and mutually beneficial ways.